If you have installed OraStream app on iPhone or iPad running iOS 9 and higher, you can stream OraStream music to Apple TV by using AirPlay. You can stream music to Apple TV, Airport Express, or AirPlay-enabled speakers. 1. 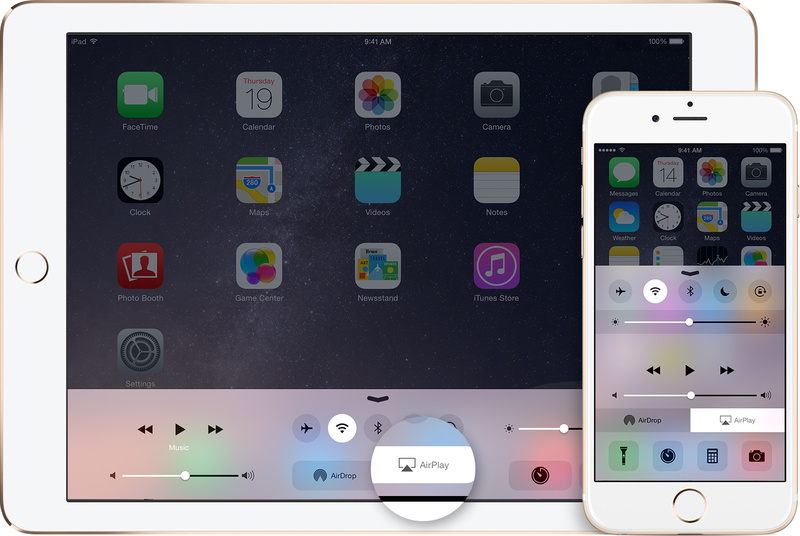 Connect your iOS device and your AirPlay device the same Wi-Fi network. 2. On your iOS device, swipe up from the bottom of your screen to access Control Center. 4. Tap the name of the device you want to stream content to. You'll see icons of a TV screen or speaker next to each device so you know what type of content you can stream. On iPad, you might need to scroll to see all of the available devices in the device list. Don't see your device in the list? 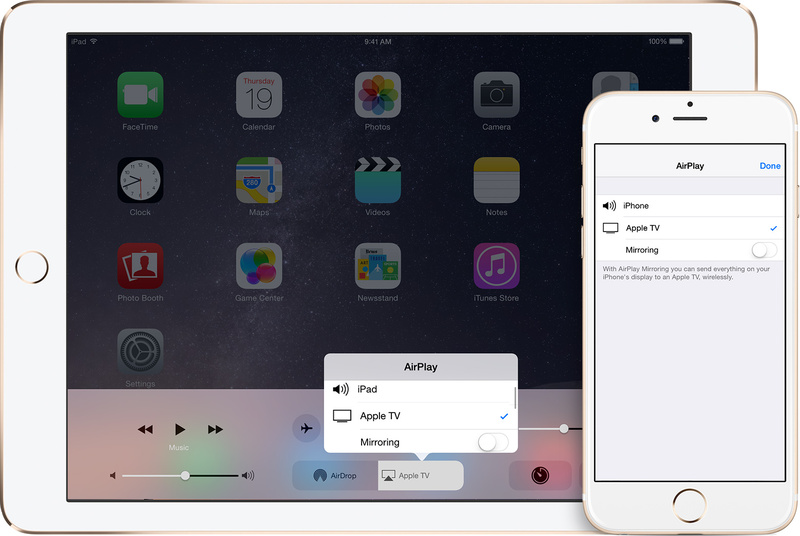 When you choose an AirPlay device, audio or video from your iOS device will play on your AirPlay-enabled speakers or on the TV that's connected to your Apple TV. If you turn on Mirroring, you'll see your entire iOS screen on the TV that's connected to your Apple TV. Your TV will use the orientation and aspect ratio of your device. If you want the image from your device to fill your TV screen, you might need to to adjust your TV's aspect ratio or zoom settings. If you have an Apple TV, you can use AirPlay to mirror or extend the desktop of your Mac display on an HDTV.